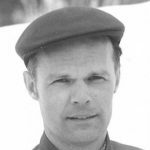 Roderick Alan Bloomfield was born in Bracebridge in 1948. The Bloomfield family originated in Haliburton where Rod’s grandparents owned a farm. Rod’s father, Roy, began in the mechanical trades in Gravenhurst. When the company, Clift Bros, began to expand, Rod’s father relocated the family to Parry Sound where he and his partner, Dennis Kennedy, operated a successful trades company for numerous years. Rod began playing organized Hockey in Parry Sound at the age of 5. Rod’s father was involved in minor hockey and faithfully hauled the boys throughout the country over the years. Roy loved hockey but always preached that it was only a game and stressed the importance of education. Rod was greatly influenced by his first hockey coach, Bucko MacDonald who coached them to an Ontario Bantam championship during his early years in Parry Sound. Bucko drove from Sundridge to coach the Parry Sound squad; so many a night was spent on the Bloomfield sofa. In Parry Sound, Rod was a member of Ontario Bantam Champions (which included Bobby Orr) and later a member of the Ontario Junior C Champions. Roddy centered a line with his brother Roger and Ronnie ‘Ace’ Orr. In his final year in Jr. C, Rod led the league in scoring with 45 goals & 59 assists in 30 games. Rod finished his Junior B Hockey in Owen Sound where he and fellow Parry Sounder, Kelly Orr, contributed towards a championship run. Rod led the team in scoring with 32 goals & 35 assists in 40 games and was named MVP. Upon finishing his minor league hockey in 1968, still with a love for the game, Rod returned to Parry Sound to finish his electrical apprenticeship at his father’s firm and joined the Parry Sound Intermediate “B” team. This team was comprised of players who all had full time jobs and still loved to play the game. Rod played here for another 3 years. In 1972 Rod was offered an extension of his apprenticeship program in Midland and joined the Intermediate B Midland Flyers. Rod led the team in scoring with 35 goals & 40 assists in 35 games and, again, was named MVP. In 1973 Rod completed his electrical apprenticeship and returned to Owen Sound for an electrical superintendent job for construction of a new school project and joined the Owen Sound Downtowners Sr. A league. Rod again led the league in scoring with 32 goals & 35 Assists in 43 games & was named MVP. In 1974, Rod was attending a try-out camp in Sudbury for the WHA Toronto Toros when his old friend Ronnie Orr called and invited him to try out for the newly formed hockey franchise Binghamton Dusters – Ronnie was General Manager & Jim Matthews was team Owner. Toronto Toros wanted to sign Rod and assign him to Mohawk Valley of the NAHL but Rod decided to go to Binghamton. Over the next 5 years, Rod played for the Binghamton Dusters in the NAHL & AHL and worked in the off season for Matco, Mathews’ electrical firm. Rod went back to Parry Sound for one summer to manage Mathews’ marina on Georgian Bay. Rod was very close to both Jim Matthews & Ronnie Orr during his career in Binghamton – both were valuable friends. 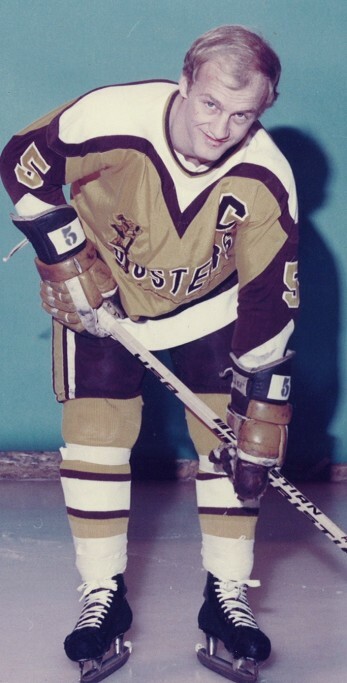 Hockey became very popular in Binghamton over the initial five years; Rod still claims numerous records for the Dusters such as games played, goals, assists, points, etc. During the 5 years in Binghamton, Rod was named league MVP twice, won the league scoring race twice, and was named to the all star team 3 times. In 1976-77 Rod centered a dynamic line with Dave Staffen & Pierre Laganier – Rod had 51 goals & 130 assists in 83 games. Rod was named by Hockey News as Player of the Year, League MVP & Scoring Leader. During the 1976-77 season, Paul Newman and director George Roy Hill attended game in Binghamton and it was determined that the movie “Slap Shot” would be filmed. Rod and some of the other Dusters were employed as extras to perform the on ice hockey scenes. Rod was chosen as Paul Newman’s double to perform his on ice scenes. This was an exciting part of Rod’s hockey career. Paul Newman was very entertaining & was happy to be sitting around a bunch of old time hockey players. In his final year in Binghamton, Rod suffered a puck to the face and decided to retire and concentrate on his working career and raising his 2 sons, Richard & Ryan. In 1978 Jim Matthews purchased an electrical company in Charlotte, North Carolina to accommodate IBM relocating to the south. Rod decided to relocate with the company and spent 2 years managing the electrical contracting at the IBM facility. In 1980 Rod decided to take an overseas job with one of the largest contracting firms in the world, Blount International. Rod spent five years in Riyadh, Saudi Arabia building the King Saud University. Rod, Donna, and the boys enjoyed the stint overseas as they travelled extensively throughout Europe, Africa, & Asia. In 1985, the Bloomfield family returned to the USA in Montgomery, Alabama to work out of the home office of Blount International. In 1991 Blount International was awarded a contract with the US Government to rebuild Kuwait after the Iraqis invasion. Rod agreed to manage the electrical division of the reconstruction phase. Blount’s team was accompanied by the US military and entered Kuwait the day following liberation. The oil wells were burning and the sun was not to be seen for the first 8 months of work. These five years were the most exciting of Rod’s career – the country was totally destroyed and required extensive rebuilding. Following Kuwait, Rod decided to retire and relocated his family to Niceville, Florida where they built a custom home on the Gulf in 1996. Retirement lasted only a year when a construction firm in Palm Beach Florida approached Rod about managing the construction of a 102 Unit Condo Project on the beach in Fort Walton, Florida. Rod also completed an Atria Regency Assisted Living Project in Mobile, Alabama while living in Niceville. 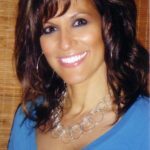 Following the success of these projects, the company owner convinced Rod & Donna to relocate to the home office in West Palm Beach, Florida. Rod accepted and the family again relocated. Rod managed construction projects in Palm Beach area for another ten years. Finally, in 2006, Rod & Donna decided to retire and relocated to Victoria, BC and again built a custom home overlooking the ocean and Victoria. Rod & Donna have recently listed this home for sale and are planning on relocating back to Parry Sound to be near their families. Rods hockey legacy in is well documented. One of the most highly regarded players of his time; we welcome Roddy Bloomfield into the Bobby Orr Hall of Fame. Congratulations Rod! 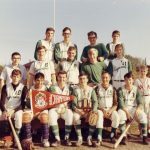 o 1964-65 – Parry Sound – Won Ontario Jr. “C” Championship. o 1972-73 – Owen Sound – Named League MVP & All-Star. o 1972-73 – Owen Sound – Dave Pinkney Trophy (MVP). o 1973-74 – Binghamton – NAHL Assist Leader & 4th in League Scoring. 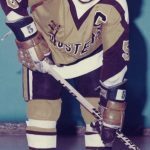 o 1974-75 – Named MVP of NAHL, Scoring Champ, & All Star Team. o 1976-77 – Hockey News Player of Year, MVP, Scoring Champ & All Star Team. o Still holds over 10 Team Records with Binghamton Dusters – Points, Assists, etc.